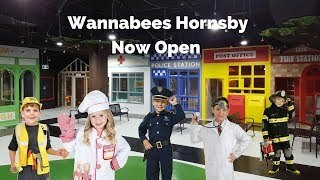 Looking for what to do in Sydney with kids? 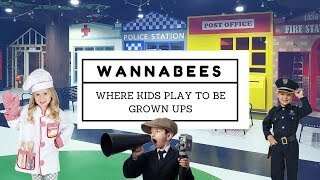 Wannabees is an indoor themed park that encourages children to role play at their dream jobs - from police officers and fire fighters, to television producers, postal workers, doctors, beauticians, fashion models or many more. 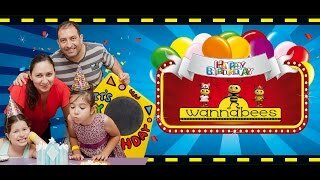 There are plenty of fun activities for the whole family to enjoy: watching or being part of the popular fashion parade, disco dance on laser lit concert stage, putting out the pretend fire with real water; jumping, flying, running and having lots of fun with the interactive green screen in the television studio. There is also a six metre rock climbing wall (Frenchs Forest Venue only) and kids gym equipment to keep them active. 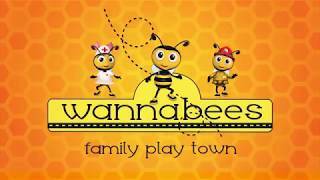 Wannabees is open for kids birthday parties, educational school visits, corporate events and casual family outings. A beautiful themed cafe with the best coffee, free wi-fi and great food for all appetites is also available! They have venues in Frenchs Forest and Westfield Hornsby.